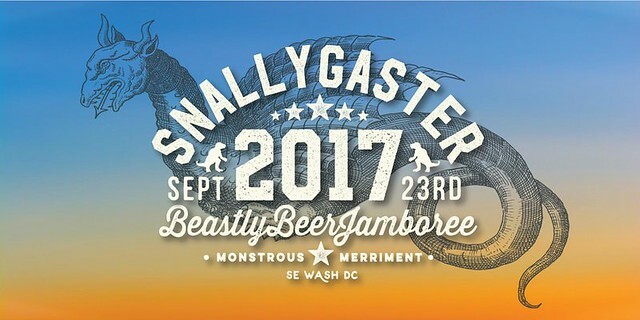 The sixth iteration of Snallygaster comes to The Yards on September 23rd. Hundreds of specially curated beers, all for your palette! Beer Director Greg Engert (of Neighborhood Restaurant Group) has announced 100 breweries, including all of our local DC breweries, and lots from California, Virginia and Maryland. Some that I’m looking at include; Holy Mountain (WA), Logsdon Farmhouse (OR) and Boulevard (MO). As usual, there will be music, food, and games, along with all the merriment associated with drinking beer, whether old favorites or that ‘whale’* you desire. Snallygaster also usually marks the time when many pumpkin beers become available, and I do like to sample those! If you need more altruistic reasons to drink beer, Snallygaster is the main fundraiser for Arcadia, and specifically supports a demonstration farm in Alexandria and two mobile farmer’s markets. Arcadia is a nonprofit that helps to create a more sustainable and equitable local food system in the DC area. Tickets are $35 ($60 for VIP).